If you are an avid wine collector on the lookout for a cost-effective storage solution to your growing wine collection, then you should consider getting a wine cabinet. Wine cabinets provide a safe haven for your wines and keep them organized. Each bottle has its own compartment so it stays snugly in place. In terms of aesthetics, most wine cabinets come in various designs to match any decorating scheme. Most wine cabinets come with different features, like stemware racks where you can display your wine glasses along with your wine collection. 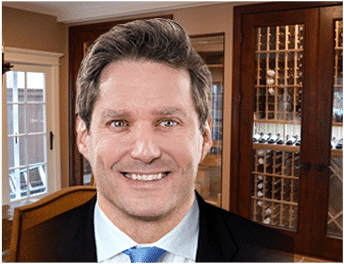 Another special feature of wine cabinets is their built in drawers that allow you to store additional wine accessories, like wine bottle openers, wine collars, extra corks, and even wine magazines. Wine cabinets are categorized into two types: active wine cabinets and passive wine cabinets. Active wine cabinets in Dallas, Texas function like wine refrigerators, only better because they can be used for long-term storage. These cabinets have controls that allow you to adjust their temperature and humidity levels. They also have a higher bottle capacity. Passive wine cabinets don’t have thermostat controls, but they can hold a larger number of wine bottles. Since these cabinets are passive, they should be placed in dark, cool places. If you have a wine cellar, passive wine cabinets would be a great addition to your wine cellar fixtures. Speaking of wine cellars, perhaps the most underrated part of any wine cellar is the cellar door. Most people see it only as an entryway to a wine cellar. However, there’s more to a wine cellar door than meets the eye. A wine cellar door helps stabilize the cellar environment by keeping the desired level of temperature and humidity inside the storage room. Wine cellar cooling systems function efficiently when you have a wine cellar door in place. 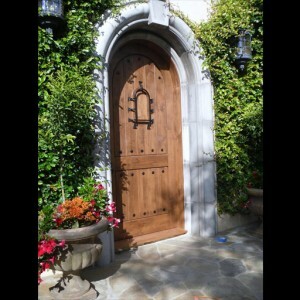 The common types of wine cellar doors are made from wood, glass, and ornate wrought iron. You also have a choice between a standard single or double door opening. To ensure that your wine collection will age in optimal conditions, make sure that your wine cellar door is weather-stripped and double insulated. When deciding on a wine cellar door, you should consider both functionality and style. Your choice of wine cellar door should not only help control the storage environment, but also bring elegance to its surroundings. 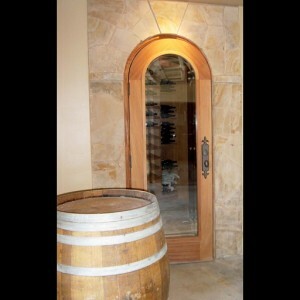 If you are going for a more traditional look, then go with wood wine cellar doors. Designs range from arched types to the standard rectangular form. You can also choose from different types of wood, like redwood, pine, oak, and mahogany. Ornate wrought iron cellar doors are ideal for wine enthusiasts who prefer a dramatic entryway to their wine cellar. These cellar doors have a baroque appearance that can add elegance to any room. Ornate wrought iron cellar doors come with removable glass panes for ease of cleaning. If you want a more contemporary feel, use insulated glass cellar doors. These wine cellar doors can be stained, etched, or plain. Glass cellar doors are mostly preferred because of their soundproof and low-e qualities. A wine cellar door is an important feature of the overall structure of your wine cellar. They keep the cellar environment secure and improve the aesthetics of the storage room.